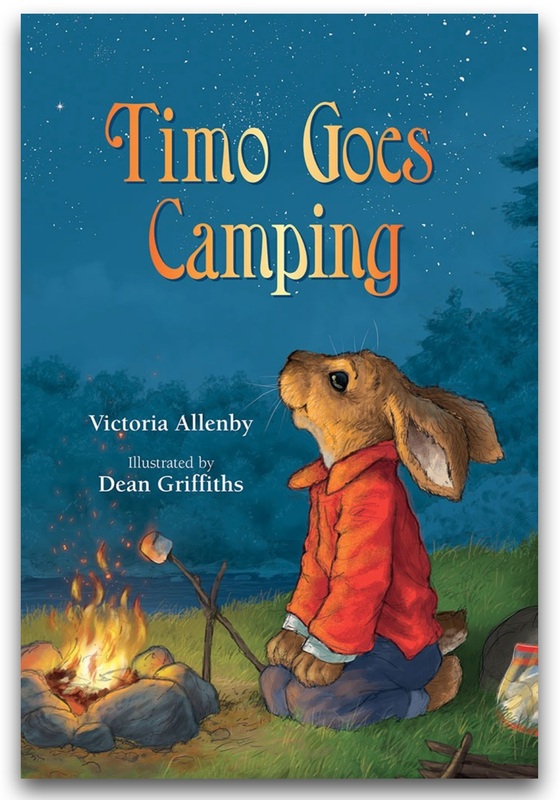 It's wonderful to see a new Timo story from Victoria Allenby and illustrated by Dean Griffiths. 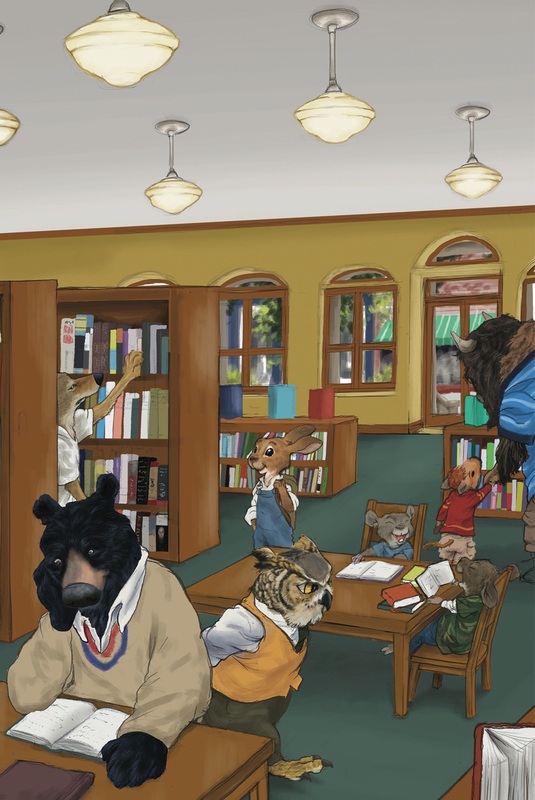 This early reader series tugs at my heart with each new story as the rabbit Timo learns new life lessons alongside his friends Bogs, Hedgewick, Rae and Suki. Suki, the squirrel with the ideas, decides the group of friends should go camping. 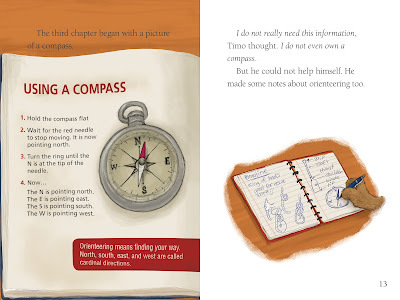 Though Timo feels that adventures are "messy and unsafe and not at all sensible," he goes along with the plan. However, he looks for advice at the Toadstool Corners Library, where it "smelled like paper and ink and comfort," finding good advice in a book called Camping is Fun. Setting out on their adventure, Timo puts his new skills to use in knotting rope, making a fire, and recalling all the lessons about canoeing and orienteering and more. But, when little things go wrong, like a tent that won't go up or a dunking in the lake, most of the group enjoys a chuckle, though Suki's teasing and name-calling becomes tiresome to Timo who finally has to call her out on it. 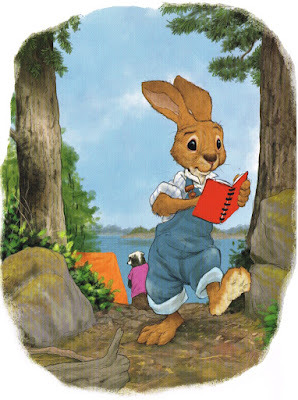 This lovely series of early readers returns an innocence and humility to children's early readers that we haven't seen since Peter Rabbit and Frog and Toad. 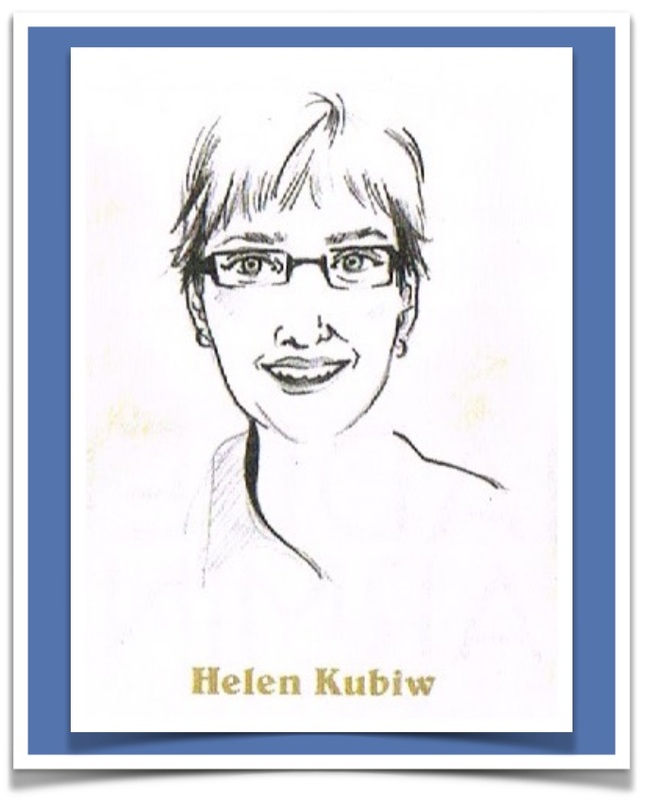 There are valuable lessons about friendship and self-acceptance and learning. 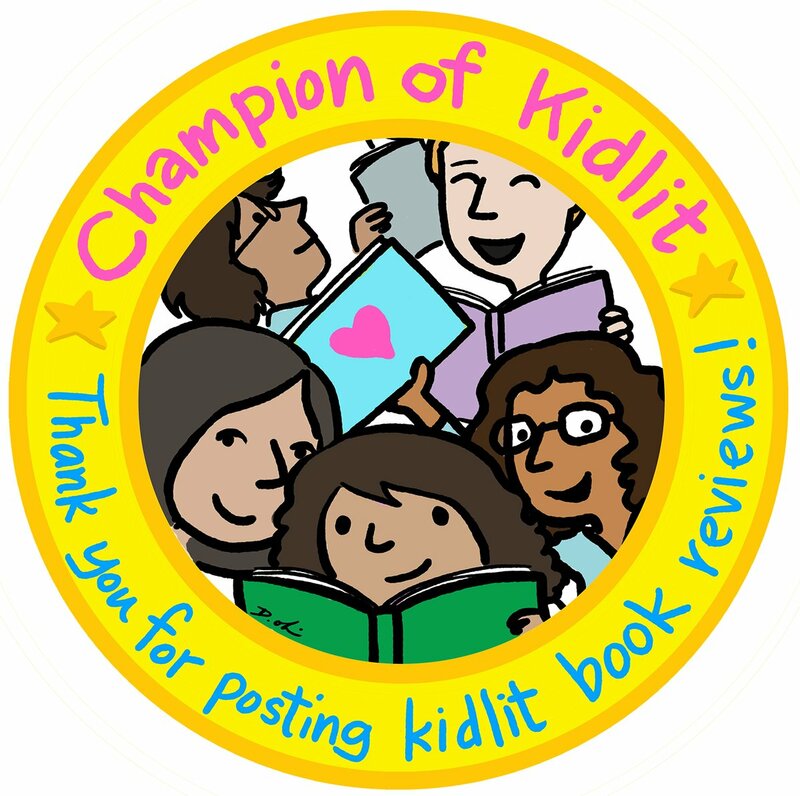 But, even more, Timo allows children to share in his learning about friendship and interacting with others, as well as the importance of reading. From his first book, Timo's Garden (2015), and his second, Timo's Party (2016), the rabbit is learning how to deal with friends and his own insecurities which he is always able to put aside when he takes the opportunities to learn and gain insight from his experiences. 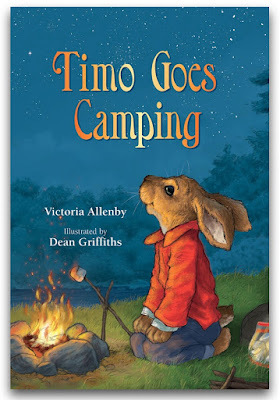 As in all three of the Timo books, Victoria Allenby has made her characters so distinct that their roles in this camping adventure make perfect sense. 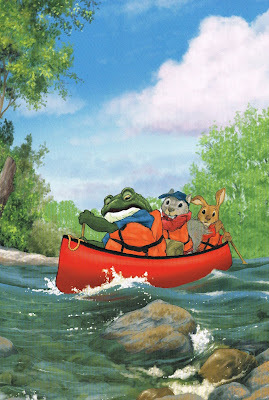 Hedgewick is named Chief Chef, Rae is Head Engineer, Bogs is the Toad of Tunes, Suki is the navigator (though more like the one who tells everyone where to go and what to do), and Timo is labelled the camp librarian. Each has assets that makes the group work effectively, though I'm partial to Timo who wisely finds answers in books. 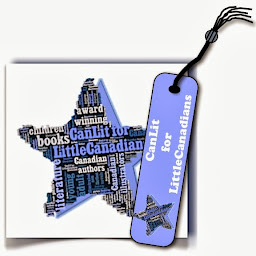 For an author to create a story rich in characters, atmosphere, plot and positive messages is an astounding achievement for any book but extraordinary for an early reader. The story is brought to visual life by Dean Griffiths' artwork, with its textural richness of setting and scene. Dean Griffiths, whose art illustrates among others Bad Pirate (by Kari-Lynn Winters, Pajama Press, 2016) and Tweezle into Everything (by Stephanie McLellan, Pajama Press, 2013), knows how to adapt his style for an early reader, balancing the story, not becoming the story as it may, and rightly so, in picture books. Together Victoria Allenby and Dean Griffiths have made Timo Goes Camping a book that any child would love to take on their own camping adventure, as guide (see the illustration below about using a compass), insurance or pleasant diversion.